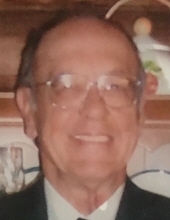 George Green, 71, of Beallsville, Ohio died Friday, March 22, 2019 in UPMC St. Margaret Hospital, Pittsburgh, Pennsylvania. He was born April 4, 1947 in Cleveland, Ohio, a son of the late Thomas and Pauline Sucharzewski Green. George was a proud US Army Veteran having served with the 82nd Airborne Division in Vietnam and a retied telephone lineman for Ameritech Corporation. A member of American Legion Post 768 and VFW Post 5303, George was also a devoted member of the Beallsville Volunteer Fire Department where he served as a Lieutenant. In addition to his parents, he was preceded in death by his first wife, Joan Myers Green, also by a sister. Surviving are his loving wife, Mildred Longwell Green; a son Kel Green and his fiancé, Tammy Shepherd of Geneva, Ohio, a brother and sister-in-law, Thomas and Emma Green of Ray, Ohio; step-daughter and son-in-law, Bonnie and Eric Ritz of Elm Grove, West Virginia; step-son, Bradley Smith of New Martinsville, West Virginia; step-son, Ryan Buckland and and his fiancé, Hali Moore of Woodsfield, Ohio; grandchildren Jacob Green, presently serving with the US Navy stationed in South Carolina and Madasyn Green of Akron, Ohio, Sara Armstrong of Martins Ferry, Ohio, Kaylie Smith of New Martinsville, West Virginia, and Oliver and Kate Buckland of Woodsfield, Ohio. Friends and family will be received at the Harper Funeral Home, Monday, March 25 from 12 noon until the time of the funeral service at 2pm with both American Legion Post 768 and the Beallsville Volunteer Fire Department presiding. Full military honors by American Legion Post 768 and VFW Post 5303 will be observed at the Funeral Home. Burial will follow in Pleasant Grove Cemetery near Beallsville. In keeping with George's giving spirit, his family asks that flowers and keepsakes not be sent, but rather memorial contributions made to the Beallsville VFD, PO Box 68, Beallsville, Ohio 43716, would be greatly appreciated. To plant a tree in memory of George Patrick Green, please visit our Tribute Store. "Email Address" would like to share the life celebration of George Patrick Green. Click on the "link" to go to share a favorite memory or leave a condolence message for the family.